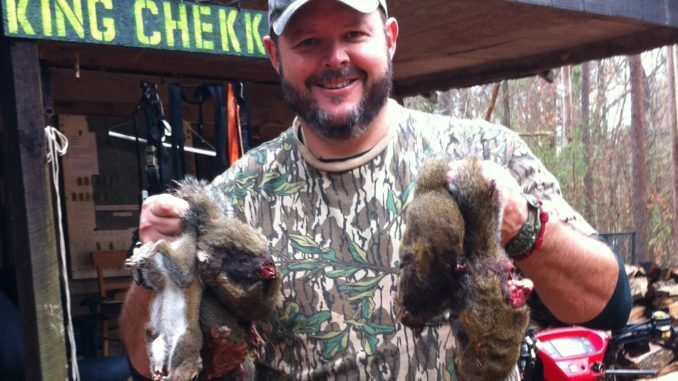 The spring limit on squirrel in Mississippi is four, which avid hunters like Johnny McKinion of Pelahatchie should find easy to fill. “Deal with snakes, heat, mosquitoes, poison Ivy and other forms of ****,” joked Dave Godwin, a biologist and avid squirrel hunter. “Over the last three years, when it looked like we were going to get a spring season, I started tracking the weather during that late May period. In reality, you can count on two fingers the number of cool, pleasant mornings each year. 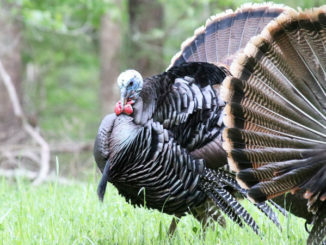 But, struggles and kidding aside, Godwin, the small game and turkey programs coordinator for the Mississippi Department of Wildlife, Fisheries and Parks, will be among the squirrel hunters trying, for at least one or two days, to get a daily limit of four when the May 15-June 1 season opens. Mark Beason of Jackson is such a diehard. An avid dog trainer and hunter, Beason has hunted the spring squirrel seasons in several states, including Arkansas, Missouri and Louisiana, always looking for places to spend time in the woods with his squirrel dogs. “This year, I won’t have to travel as far,” he said. “It was about time Mississippi added the spring season. I hear everybody joke about the heat, and the snakes and the mosquitoes and the full foliage of the trees, but when you think about it, that’s the same conditions we have during early October when the regular fall/winter season is in its first stages. Small game hunters began requesting the spring season about 10 years ago, and it came close to gaining legislative approval on at least two occasions only to be shot down mainly because of fear that such a bill would become a vehicle to change deer seasons. In the 2014 session, legislators were ready to make a change in deer seasons — including creation of a separate archery season and allowing firearm of choice during most primitive weapon seasons — and the opportunity was there to create the spring squirrel season. Biologically, it should have no impact on squirrel populations, and Godwin said the timing “actually makes more sense than some of the periods when we were already hunting them. To get a 4-squirrel limit, half the fall/winter daily limit, Mississippi hunters will need to adjust their thinking. 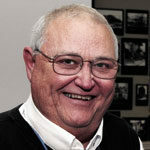 “First, you have to stop thinking about the hard masts, like oaks, hickories and pecans; that’s all gone,” Godwin said. “All the normal food sources that a still hunter would look for in the fall are not available in the spring. Beason said the lack of hard mast actually helps hunters. “What I have found is that if you can find a good food source, you can find squirrels concentrated more in the spring than you can in the fall or winter,” he said. “Of course, I hunt with a dog so I am not as much concerned about (food sources). I just know I need to be in areas where squirrel are feeding. Dates: Opens May 15, closes June 1. Limit: Four (4) squirrels daily.